San Diego, CA – July 26, 2016. 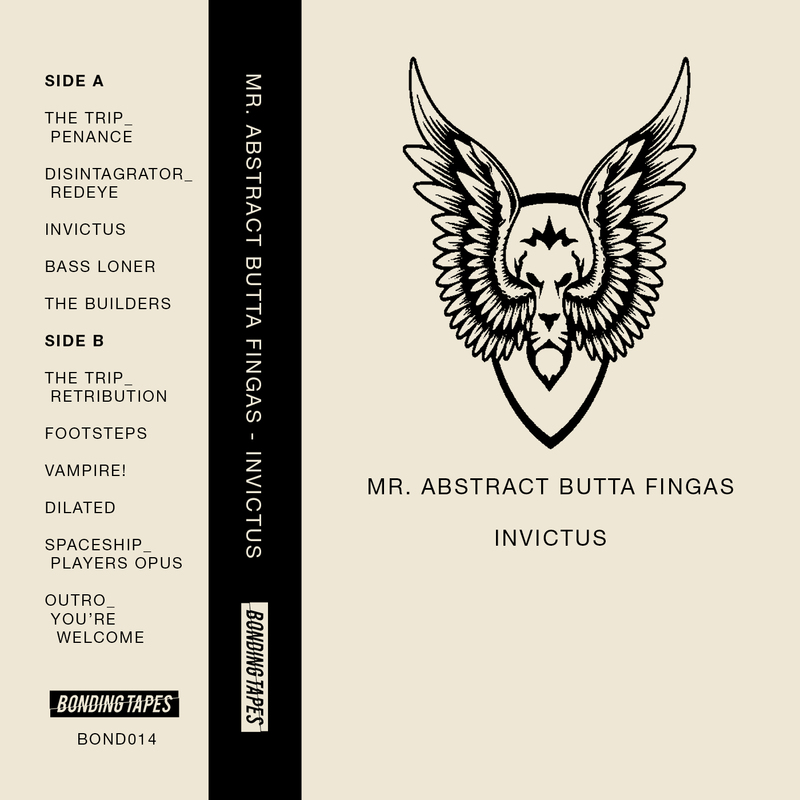 Bonding Tapes is proud to present Mr. Abstract Butta Fingas latest cassette, Invictus. This release showcases the producer’s musical range with beats from the ethersphere.